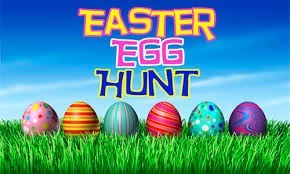 All are welcome for the hunt, light refreshments and a fun time! This past Sunday was Palm Sunday, and it was blessed with quite a few special happenings. 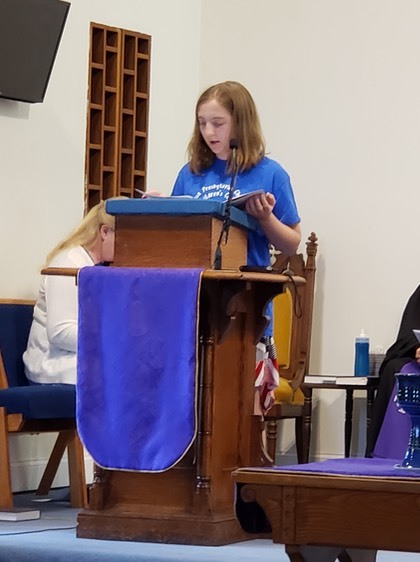 The first was our third Junior Liturgist, our very own Kaylee Rottkamp. She did a wonderful job! 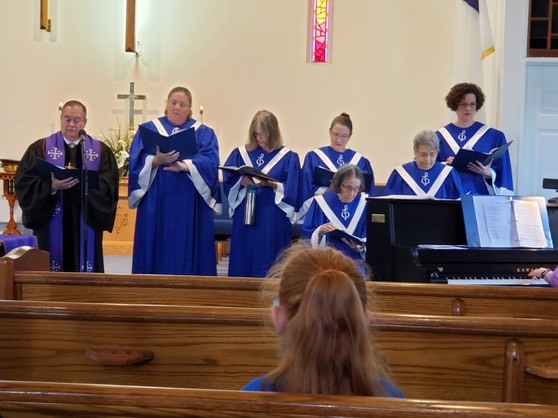 Second, not only were we graced with the voices of our Children’s Choir, but our Adult Choir treated us to a first ever Easter Cantata, led by our amazing Music Director, Myra Sparks. need in our congregation and community. •	Sponsor four children at Kids Alley. •	Interfaith Hospitality Network volunteers. And much, much more….how can you help? Given the increased incidents of violence in various houses of worship, we are forming a task force to look at this issue at CPC. This issue of safety impacts the entire congregation, visitors coming to worship and our relationship with our community. We need you to participate in this task force to be sure that we remain a welcoming church while maintaining a safe place for all to gather. If you are interested in participating, please see Bill Van Keuren, Cindy Higgins or Pastor Ryan. It’s not too late to hand in your pledge card for 2019. Feel free to put it in the offering plate or in the Administrative Assistant’s mailbox in the church office! Thank you! If you know that you will be missing worship due to vacations or travel, please send in your offering to the office before you leave. You can send an envelope with your pledge and/or offering so that the work of Christ’s church continues to be funded. You can either drop it in the mail yourself, or set us up in your bank's bill pay as a vendor! Did you know…every year CPC pays the Per Capita for every member of the church upfront? By paying back the church for your portion of the Per Capita, you free up funds in our regular budget to be used for ministry and mission in our community. Thank you to all of you who have already paid your share at only $38.75 per member. If you have not yet paid your Per Capita, we hope you will consider doing so. Thank you! Do you love to sing? The Adult Choir has regular rehearsals on Thursday evenings at 7:00 pm in the Choir Room. You DO NOT have to know how to read music to join us in praising the Lord through song. Everyone is welcome! Do you have a favorite hymn that you’d love to hear in church? If so, let us know! There is a hymn sign up sheet on the main bulletin board. 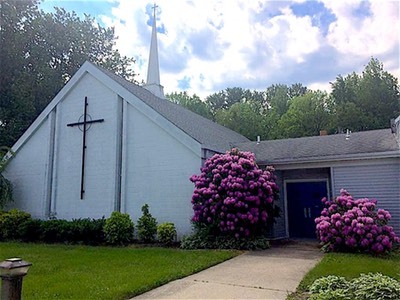 Presbyterian Women still collect used ink cartridges for Planet Green. They can be placed in the box on the Food Pantry shelf. They also collect Box Tops to benefit Evesham schools. Those can be placed in the envelope on the Parish Life bulletin board. Thank you! 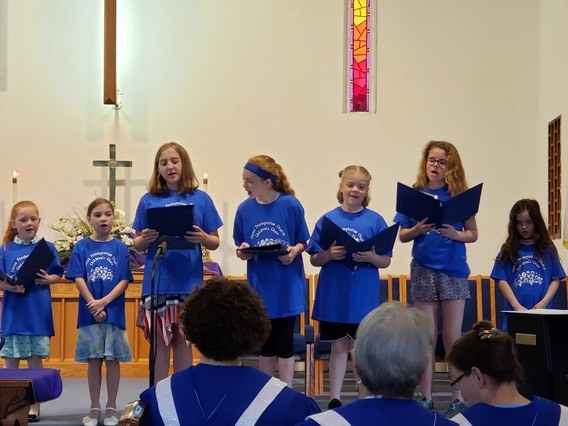 Junior Church will now be held on the second and fourth Sundays each month. This allows families the opportunity to worship together. Also, Bonnie needs someone to assist her with Junior Church. If you are interested in helping her, please let her know. If you feel God calling you to help teach children about God’s love, the Bible and Jesus, there’s an opportunity to help! Even if you want to assist another teacher, or be a substitute as needed, please contact Rev. Ryan. Our children are the future of the church-come and help them on their faith journey! Our church is growing, and so is the attendance in our nursery! Miss Elaine could really use a hand, so if you love kids and would be interested in being a volunteer nursery helper, please let us know. If you have any questions, please see Alice Wooden-Kelly. Thank you! Check out our newsletter, The Kindred Spirit, here!